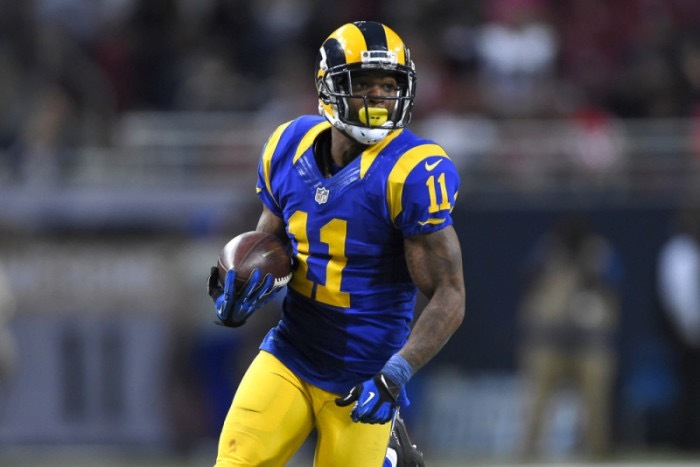 Today, the Los Angeles Rams locked up their best receiver in Tavon Austin, who did get his fifth-year option exercised earlier in the off-season, but now he will get a four-year deal worth $42 mil with $30 mil in guaranteed money with a chance to earn up to $52 mil due to his incentives, according to Adam Schefter of ESPN.com. Now, most people do not think he is worth all of that money and especially with his guaranteed money, but I do think he is, as he is a versatile playmaker that does everything and anything for his team. He returns kicks, punts, catches the football, and he also runs the ball as well. You can also line him up anywhere on the field, which is valuable to himself and the team, as he uses his blazing speed to his advantage. However, he is not worth the money because he has never put together a breakout season, due to the fact that he has never had a pass dominant quarterback throwing him the ball, but that will all change when Jared Goff becomes the starter and develops into a great signal caller. Furthermore, the 25-year-old receiver has participated in 44 games and started 25 of them. He has totaled up 123 catches for 1,133 passing yards and scoring nine receiving touchdowns. In addition, he is more useful in the punt returning area, as he touches the ball more there. It shows with his 102 punt returns for 939 yards, while scoring three times. His career averages per return sits at 9.2 yards per attempt. Not bad, as most returns are touchbacks or fair catches. Finally, he also is used in the backfield like I said, and he has ran the ball 97 times for an incredible 809 yards and finding the end zone seven times.